If you don’t understand the different range hoods available for your kitchen, you could end up buying one that is incompatible with the kitchen layout. Most people tend to shop for a hood that they like the look of without thinking about whether it will fit into their kitchen. Many stoves and cook tops are attached to an internal kitchen wall. If your kitchen has this layout then you need to buy a ventless range hood which essentially cleans the cooking air before blowing it back into the kitchen. These hoods have two filters inside that traps food and grease particles, as well as odor before the cooking steam is blown back into the kitchen. If you wish to have the air extracted outside of your home, you will need to a have ducting installed within the ceiling cavity in order to move the air outside. Some ventless hoods can be bought with a ventilation kit at a later stage should you wish to install a duct system. This is a good idea if you need a range hood now, but you know in the near future you will be redecorating your kitchen. You do have to make sure that the ceiling cavity has the capacity to hold these ducts though. 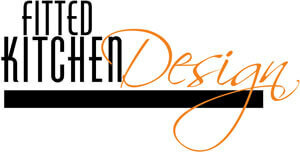 An important function of any kitchen hood is to effectively extract the steam when cooking. It is advisable to buy a hood that comes with at least three fan speeds and has a CFM of at least 600. The more hobs you have on your stove, the more powerful the fans motor needs to be. You need to balance the motor speed with the amount of noise that is produced. 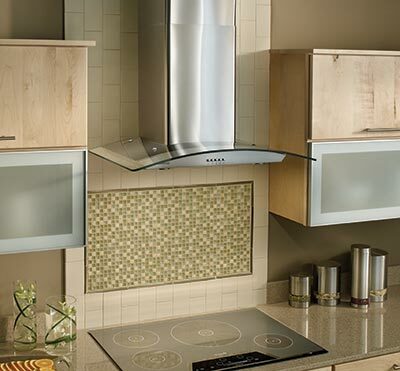 It is recommended that you find a manufacturer that specifies the amount of noise their range hoods make when in use.